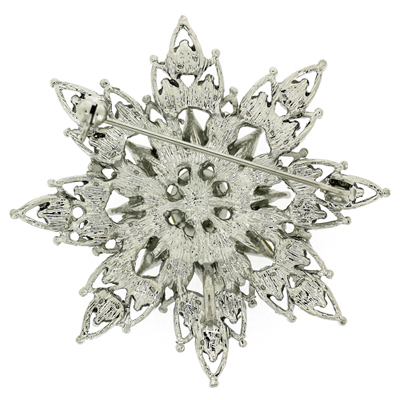 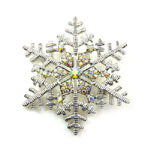 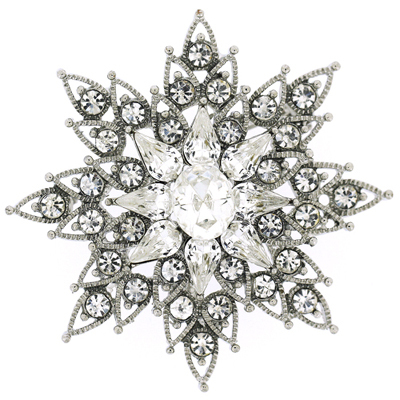 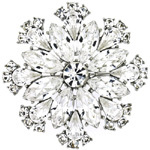 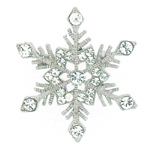 Snowflake flower brooch encrusted with clear swarovski crystals on an antique silver frame. 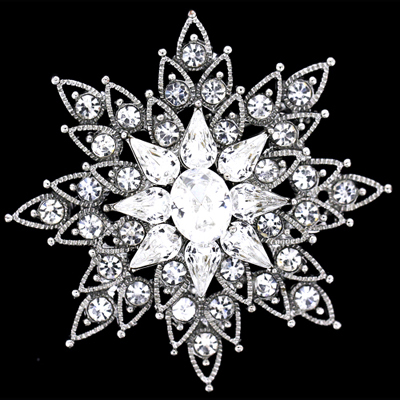 Size: 5 cms. 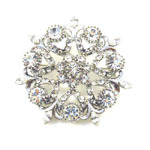 Can be worn as a brooch and as a pendant, hook to feed a chain through.